Aiming for excellence in a Christian family environment. Downholland-Haskayne Church of England Primary School represents all that is the best in a small village school. The caring atmosphere and Christian Ethos give the children a feeling of security, self-worth and belonging: we are confident that every individual fulfils their potential. At Haskayne School, we believe that every pupil is entitled to a broad and balanced curriculum that stimulates lively and enquiring minds, but above all produces happy and confident members of the community. Downholland Haskayne CE School is a small rural church school that serves the local and wider community. 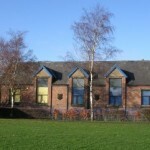 The school is on the outskirts of the village at the junction of School lane and Black-a-moor lane and enjoys the peace and quiet of the countryside We accept children from as far away as Southport and Magull. The village of Haskayne is within walking distance and Downholland is just down the road. Some of our children are from the immediate locality, but we have many out-of-district children. The original building was built in 1896 but has older origins which provided the educational needs of the community of Downholland and Haskayne. Now it is at the heart of the village, and it fulfils a valuable role in the village and wider community engendering a strong community spirit. 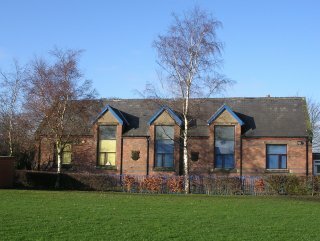 The school is in tranquil rural setting, surrounded by farmland. We have the benefit of an extensive playing field, used by the children for a variety of organised games as well as at break times, especially during the spring and summer terms. In addition, the grounds have been developed to include an exciting adventure playarea suitable for all children and a Faith Garden that allows for quiet reflection during playtimes. The main building retains many original Victorian features such as arched windows and doors. However modern additions have brought the school into the 21st century and the school environment is bright cheerful and secure. In the past year the school has benefited from remodelling and an extension to create a bright and airy resource room and dedicated spacious hall. Disabled facilities now mean we can now fully integrate any child or adult with additional needs. This has also afforded us a new reception area, administration office and kitchen facilities. The playground has been upgraded with a decked area and colourful child friendly activities. A visit to the school is essential, to appreciate it to the full. • Develop each child to their full potential academically, artistically, physically, morally and spiritually. • Develop a responsible, mature attitude towards work, to relationships with others and to the life of the school. • Respect children as individuals and provide for their needs through personalised learning. • Promote confident, self motivated and self disciplined independent learners. Pupils are organised into two classes for registration and smaller groups for Literacy and Numeracy sessions. We have an excellent pupil teacher ratio that enables us to treat each child as an individual, ensuring maximum progress. Differentiated work is planned in detail to meet the needs of each child. There are three permanent teachers providing a teacher pupil ratio of approx 1:10. Our early induction programme starting in April allows pre-school children the opportunity to prepare for school in an exciting way, following the foundation stage curriculum. Attendance is flexible according to the needs of the individual child. Please feel free to visit the school at any time or phone the school for a brochure.